A cracking evening of sparklers, skits, sausages and famous Dorset lardy cake all served up in front of a huge bonfire in the grounds. During the evening, parents and guests are treated to performances by all the girls, each form doing their own ‘Skits.’ Past comic highlights include a re-imagined version of “Giraffes Can’t Dance” or Allan Sherman’s classic comic song “Hello Mother, Hello Father” given a unique Hanford flavour. 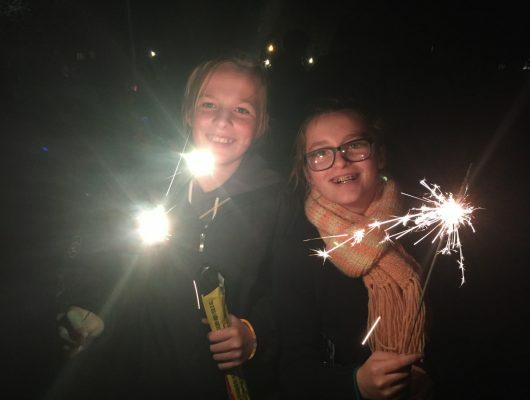 Bonfire night continues to be one of the highlights of the year at Hanford and, coming towards the middle of the second half of term when the days shorten, provides an opportunity to get outside, burn off some energy, and most of all have some fun. 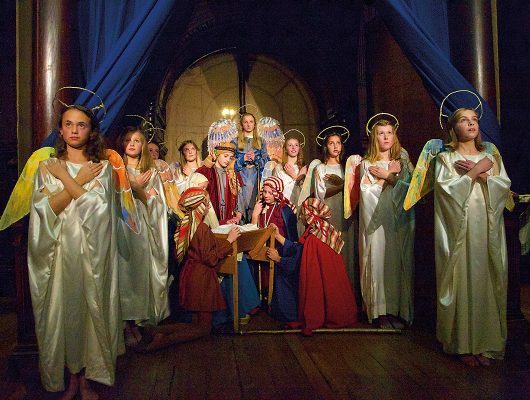 At the end of the Autumn term is the Nativity Play. This is as much an act of worship as it is theatre, and contains some truly beautiful choral music. It was written specially for Mrs Canning, Hanford ‘s founder, in 1960 by Donald Kittermaster of The King’s School, Worcester and is based on the Gospels of Luke and Matthew. Mr Kittermaster taught English at Hanford while his wife, Meriel, taught music. His play was specially designed to work in the Hall at Hanford. The first girl to take the role of Mary was Emma Kirkby, who later became the famous Dame Emma, the great soprano. The costumes, some of which were given by Lady Rockley from the Amhurst Collection, are used every year and give the play not only its colour but add a sense of authenticity and history. Mrs Canning, who encouraged girls to develop an interest in History of Art, wanted to recreate tableaus from Renaissance paintings: particularly works by Botticelli, Guido Reni and Murillo. It has been performed every Christmas since 1960 and its appeal is timeless. This is just one of the many productions that take place throughout the year. At Hanford we don’t have a Sports Day per se instead we have our very on internal Tetrathlon – running, riding, swimming and shooting. Parents, friends and family arrive with a picnic to enjoy a whole day of sport Hanford-style. The running and swimming heats take place against the clock, with timed laps and lengths used to score for running and swimming. 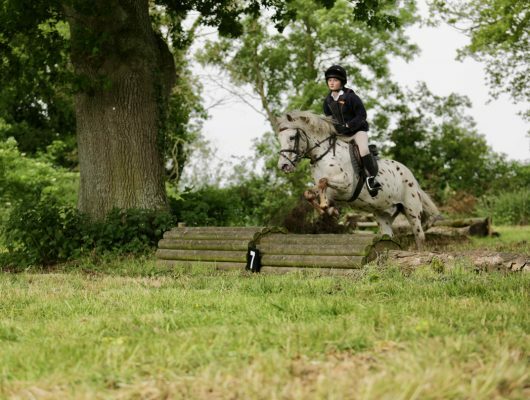 Meanwhile in the shooting range it’s about accuracy, as in the riding, where the girls and ponies tackle a moderately challenging set of jumps. The informal atmosphere is like a sporty garden party where you can meet other parents, share picnics and watch your daughter take on some challenging events. If you would like to see some pictures of the day click on the pink box. Parents’ Day is probably everyone’s favourite day of the year. The effort and planning put in by the girls and staff pays off with a truly entertaining afternoon of concerts, displays and picnics. The afternoon starts with a gymnastics display with routines from each year group set to music. Past highlights include seeing the UVIth being ‘Revolting Children’ from the musical Matilda, leaping and jumping over beds and heads. 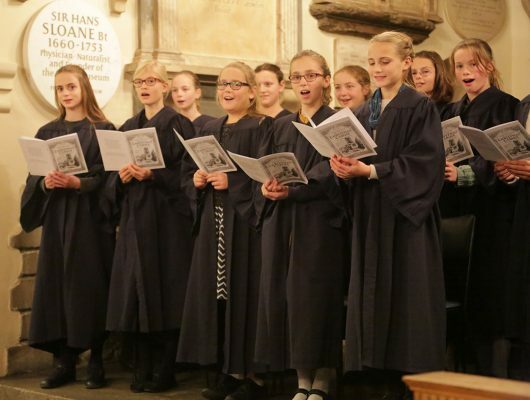 This is followed by a Music Concert which mixes individual performances with the Choir, Folk Group and Orchestra. 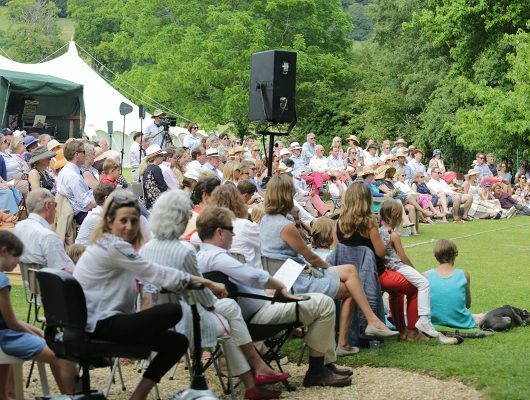 After the picnic lunches comes the grand finale – the whole school play. At Hanford every girl takes a part in this play and even some of the ponies get involved. Past plays, which are scripted by Hanford’s very own impresario Mr J, have included ‘Toad of Hanford Hall’, ‘The Secret Diary of Ann Ford’ and the ‘Lion, The Witch and the Dr.’ To see pictures of last year’s Parents’ Day click on the pink box.